THROUGHOUT OUR HISTORY, humans have been captivated by mythic beasts and legendary creatures. Tales of Bigfoot, the Yeti, and the Loch Ness monster are part of our collective experience. Now comes a book from two dedicated investigators that explores and elucidates the fascinating world of cryptozoology. 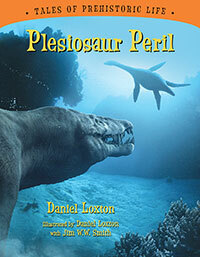 Daniel Loxton and Donald R. Prothero have written an entertaining, educational, and definitive text on cryptids, presenting the arguments both for and against their existence and systematically challenging the pseudoscience that perpetuates their myths. After examining the nature of science and pseudoscience and their relation to cryptozoology, Loxton and Prothero take on Bigfoot; the Yeti, or Abominable Snowman, and its cross-cultural incarnations; the Loch Ness monster and its highly publicized sightings; the evolution of the Great Sea Serpent; and Mokele Mbembe, or the Congo dinosaur. They conclude with an analysis of the psychology behind the persistent belief in paranormal phenomena, identifying the major players in cryptozoology, discussing the character of its subculture, and considering the challenge it poses to clear and critical thinking in our increasingly complex world. [A] gripping read…a sensitive but devastating takedown of an entire subculture. Occasionally wry but never mean-spirited, skeptics Loxton and Prothero press the field’s proponents to approach their subjects with the scientific rigor necessary to be taken seriously. Abominable Science! will make an excellent tool for critical thinking education. This work is as valuable for its analysis of the hunted as it is for the light it shines on the still-hopeful hunters. This is an immaculately produced book rivaling the production values of the finest coffee table volumes. … Abominable Science! is entertaining, informative, and readable. 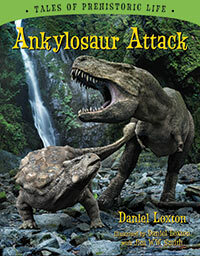 Daniel Loxton and Donald Prothero…offer us a sharp analysis of the quest for unreal critters…and the people who pursue them, shining an arc light onto the hoaxes and faked photos, the made-up films, faux corpses, delusions, lies and plain bad science that plague the field. Abominable Science! is a well-told, engaging story of skepticism. 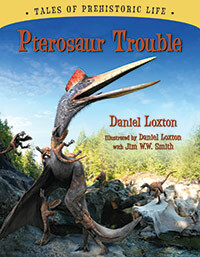 Loxton and Prothero present a lucid and compelling case to counter the false claims of cryptozoology. Daniel Loxton and Donald Prothero…deserve applause for this definitive response to a century’s worth of international flim-flam. … They are kind and cautious, but also resolute. Mythical creatures like the Loch Ness Monster and Bigfoot typically don’t appear in serious books about science. But those books aren’t Abominable Science! Accessible and absorbing…Highly recommended…Likely to be popular. Abominable Science is a loving tribute to monsters that we wish to exist. [A] brilliant idea executed masterfully. … Abominable Science! is science writing at its best.